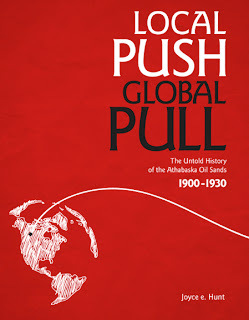 A book has recently been released called Local Push - Global Pull: The Untold History of the Athabaska Oil Sands by Joyce e. Hunt. Joyce and I have never met, but we've been communicating over the past many months as she neared the end of the long road to get this incredible book published, capturing illuminating details of the early years of oil sands development in this region, spanning from 1900 to 1930. As we chatted about her project back and forth on email, we discovered that not only do we share a history of both having worked for many years at Keyano College - she spent 20 years working as an instructor in Adult Basic Education, was secretary for the Keyano Faculty Association and even served on the Keyano College Board of Governors - we also are intimately familiar with the Demers Drive neighborhood, as she was the first resident of the house directly across the street from where we currently live. Joyce and her husband Peter moved to Fort McMurray in 1973 when he started working for GCOS (Great Canadian Oil Sands), now Suncor Energy. It was in the late 1970s, thanks to a grant provided by Syncrude, that Joyce began developing what became known as the Local History Resource Center at Keyano. It is a collection of rare books and other items related to the history of the region. Her love of local history, combined with her penchant for research, often put her in the position of being the go-to person when it came to providing historical expertise. 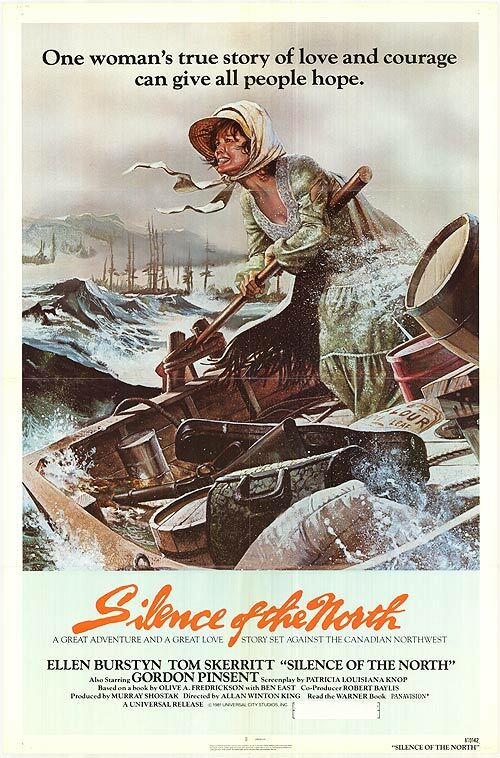 In fact, you would see nuances of her knowledge in the 1979 Universal Pictures Canada film, Silence of the North, filmed in the area and starring Oscar winner Ellen Burnstyn. Another practical application of her historical work came to fruition when Alberta Housing Corporation was looking for a name for the first seniors' home in Fort McMurray. "The two ladies who came to visit me were not amused when I suggested it be named after the first fort built in the region by Peter Pond called The Old Establishment," she recalled. "They were much relieved when the the alternative I provided, Auraubaska House, was more acceptable. 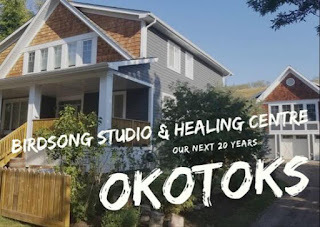 The name was taken from one of the maps produced by Peter Pond and which Keyano College had sponsored the reprinting of during the Peter Pond Bi-centennial Year." FACT 1 - Conventional wisdom holds that Peter Pond and Alexander Mackenzie found the indigenous people along the Athabasca River using the oil sands to caulk their canoes. However, neither the notes on Peter Pond’s maps, nor the journals written by Alexander Mackenzie support this! Even online sites distort this information as several, including oilsands companies, have taken the original quote from Mackenzie’s work and have altered it while keeping the quotation marks. Even Daniel Yergin (author of the highly respected The Prize, as well as the more recent The Quest) has repeated this error as he has not checked the originals! FACT 2 - It is quite amazing when you look at the challenges facing the oil sands development; it is even more amazing when you look at the primitive conditions, the remoteness of the region, the almost seemingly impossible logistics (transportation issues), the Dominion (Federal) government’s control over Alberta’s resource development during the years of the early development efforts. How could anyone want to go north to develop the oil sands? However, back then it was the Global Pull not unlike today’s Global Pull for secure sources of petroleum that provided the motivation. FACT 3 - In situ recovery methods were attempted as early as 1917 north of Fort McKay, and even more experimental in situ methods were attempted just south and east of Fort McMurray, as well as next to Fort McMurray, during the 1920s with limited success. It is interesting to note that Dr. Karl Clark, whose hot water system became the early method for commercial recovery of bitumen from the oil sands, wrote about one of the early in situ methods: “The scheme does not look at all promising." What comes to mind as I read this comment, is where would the in situ recovery methods be today if Clark had put his talents to the development of such a process instead of a hot-water recovery method. 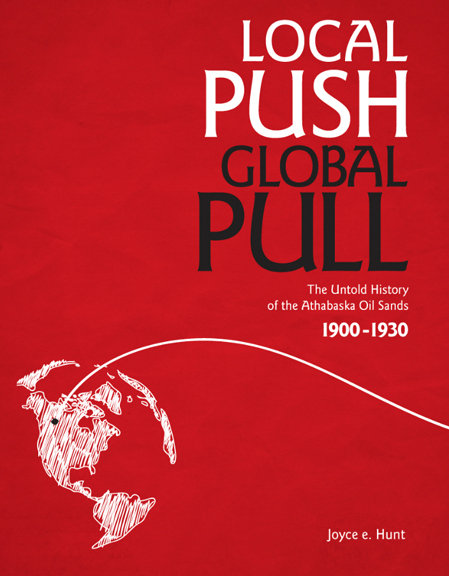 A great friend to our community and the oil sands industry, Dr. Eric Newell, former Chair & CEO of Syncrude Canada Ltd. and Chancellor Emeritus of the University of Alberta, wrote the foreword for Local Push - Global Pull. His conclusion sums up the import of this book in a way that cannot be better stated. The early years of oil sands development were marked by daunting challenges and today many challenges must continue to be met and overcome. We need not despair. 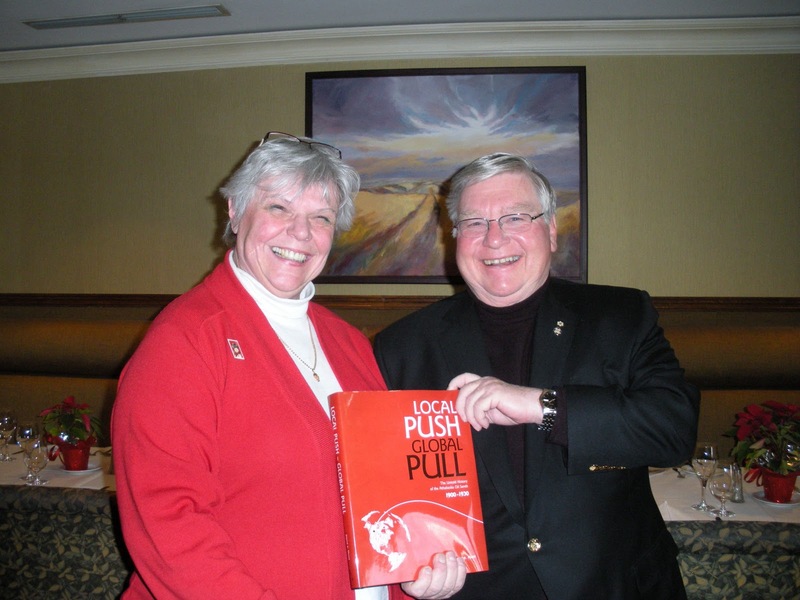 Much comfort can be gained through the perspective provided by Joyce e. Hunt in her book, Local Push - Global Pull. Without her relentless pursuit of the records and lessons from those early years, pre 1900 to 1930, there would be a large gap in the formative history of Alberta's oil sands. She deserves our gratitude for this important job well done. For more information on Local Push - Global Pull, or to purchase a copy, visit the website here. 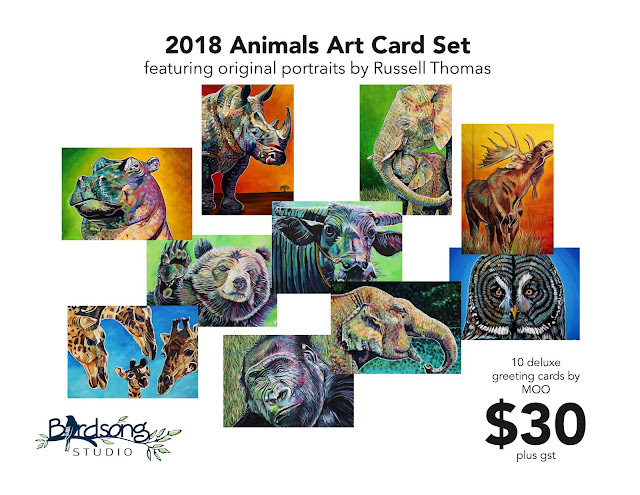 I just had an email from Joyce earlier this afternoon letting me know that a date for the Fort McMurray launch of the book has been set for February 25th. Stay tuned for more. Sounds like a really good read. I'll definitely be on the lookout for it. For my job, I read pretty much every book relevant to oil sands I hear about. That's 14 (new titles) since 2007, and I know I've missed some. If and when my job changes and it no longer requires knowing everything I can about what people are saying/writing/reporting on oil sands, I will take just three of those books with me to keep. One is Joyce's. A remarkable addition to the stacks. Very interesting... is it available at the Keyano book store? I knew Joyce Hunt. We came here in 1977. She was an instructor in the early days of my time at the college. I remember Joyce talking about travelling Highway 63 before it was paved. I think the book would be especially interesting to those of us who have been here a while - over 30 years now for me. I've read most of the histories about the oil sands, and I must say the tone in this one is just great. It's balanced, interesting, and the author clearly doesn't have an ax to grind. Most people may be interested in the later years rather than the period up to about 1930, but as a good read and a sophisticated and well-written piece of history, this one goes to the top of the class.